This article will guide you to creating and deploying a Stack using Caylent. Before you begin, be sure that you've completed the steps in Connect Amazon Web Services or Connect Microsoft Azure. Make sure you are logged in to Caylent. Click Stacks from the top main menu. Click 'Add an AWS stack' or 'Add an Azure stack'. You'll be taken to the Properties tab where you'll need to at least provide a unique name for the Stack. You may also select a Region from the dropdown and change the Environment label. You will now be taken to the Overview tab. If you have already added AWS or Azure cloud credentials, you can simply click 'Deploy Stack'. Navigate to the 'Services' tab in the Stack you created in the above step. Click on the default Docker Swarm Cluster you find there. Click 'Edit' to change the properties of the Swarm Cluster. Click 'Deploy Stack' from any tab of the Stack console. Please note: It can take up to 30 minutes for AWS to create the entire Stack, including the database. You may refresh the page periodically until you get confirmation the Stack has been successfully deployed. 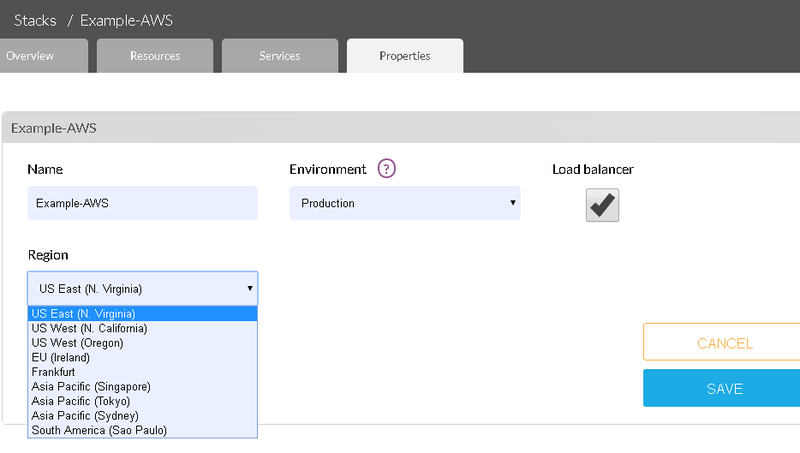 Navigate to the 'Resources' tab of the Stack console. This screen gives you a list of all Stack endpoints and IP addresses. 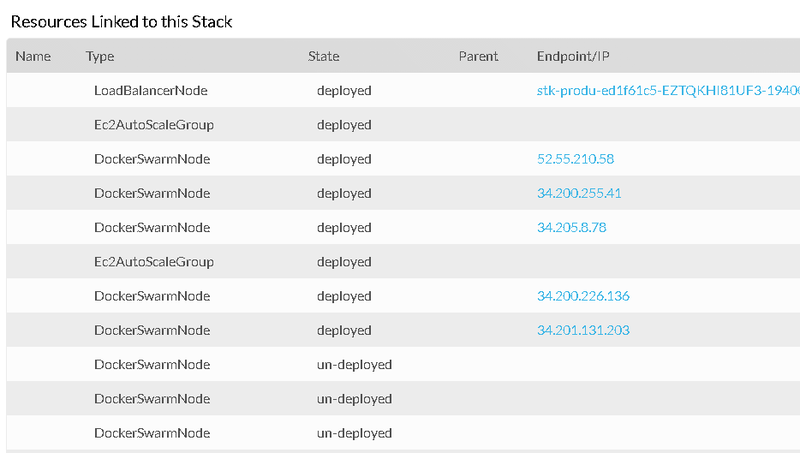 Now that we've covered how to create and deploy a Stack, we suggest you explore how to create an application.